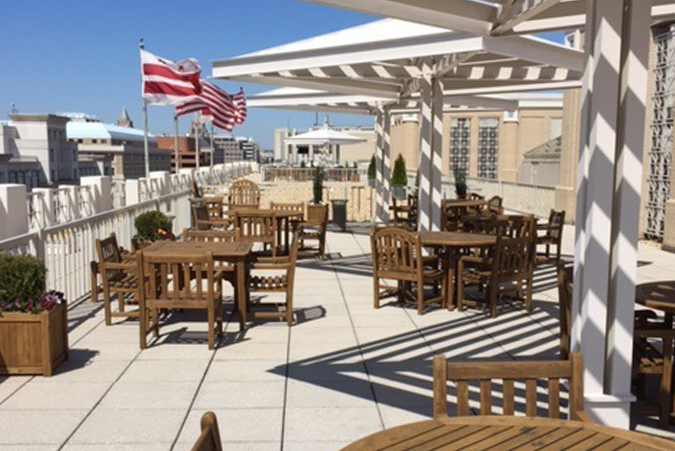 Welcome to our Washington, D.C. location in The Homer Building at 601 13th Street NW, Suite 900 South, Washington, D.C. 20005. Our 12,687 square foot executive suite has 54 newly built-out exterior window, atrium view and interior offices to accommodate all your business desires and needs. 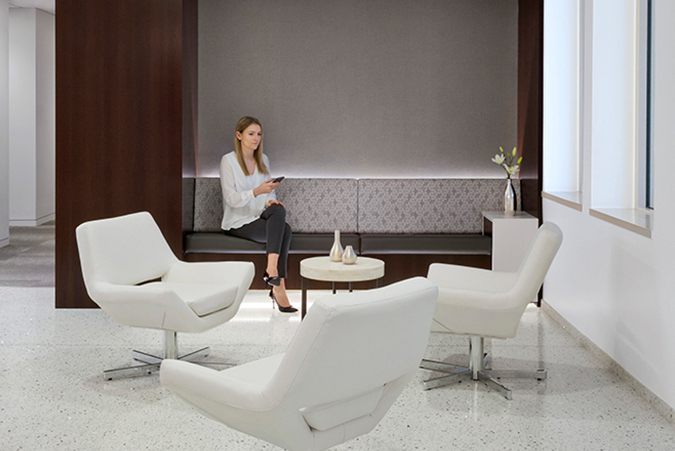 With Premier Workspaces, you can experience the best of the Washington, D.C. corporate atmosphere with one monthly invoice and no capital investment. Washington, D.C., formally the District of Columbia and commonly referred to as "Washington", "the District", or simply "D.C.", is the capital of the United States. The centers of all three branches of the federal government of the United States are in the District, including the Congress, President, and Supreme Court. Washington, D.C. is home to many national monuments and museums, which are primarily situated on or around the National Mall. The city hosts 176 foreign embassies as well as the headquarters of many international organizations, trade unions, non-profit organizations, lobbying groups, and professional associations. 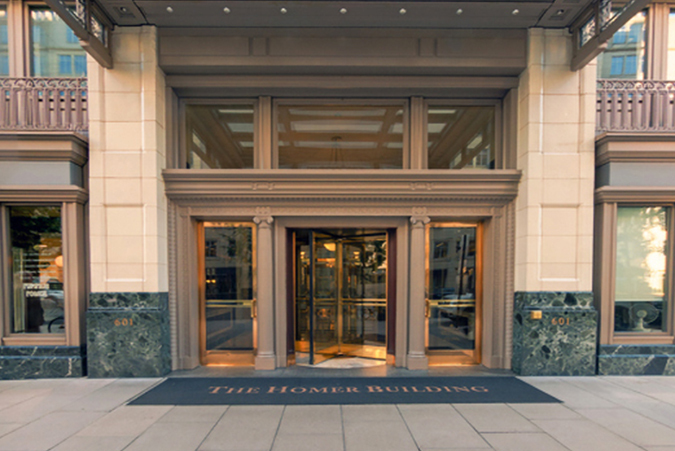 The Homer Building, at the corner of 13th Street NW and F Street NW, puts your business in the middle of everything that is happening in the District. The 12 story Homer building is a Neo-Classical concrete structure with a glazed terra cotta facade, it was designed in 1913 by Washington, D.C., architect Appleton Prentiss Clark as an expression of the Beaux Arts aesthetic in the nation's capital. Internal window offices offer impressive views of the property's full height grand atrium, which features a two-story marble staircase, internal terrace, and the "The Spirit of American Youth Rising from the Waves" sculpture by Donald Harcourt De Lue. 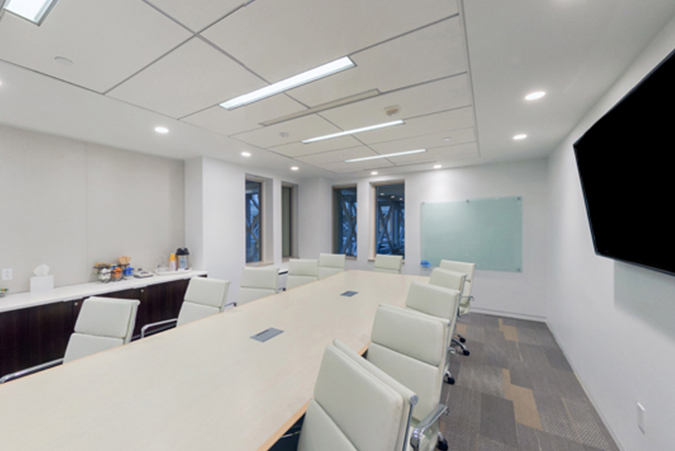 Premier Workspaces offers flexible term DC executive suites, including full-service office space, virtual office addresses, day offices, meeting room rentals, and much more. Not only can you obtain immediate occupancy, but we offer short-term agreements that allow you the flexibility to expand or cut back your business space on short notice; a choice not usually available in the conventional DC office space market. In addition to a office space, PBC’s Homer Building executive suite offers the tools you need to be a successful business including; high-speed internet access, personalized telephone answering, mail service, voice mail, appointed conference rooms, secretarial services, a reception area, and a kitchen. 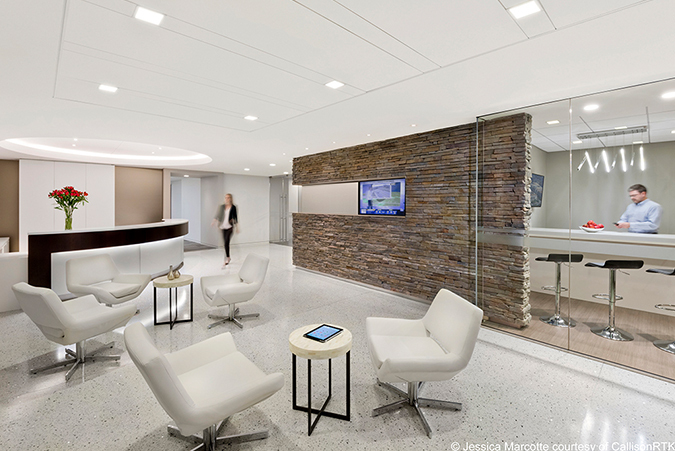 Premier Workspaces provides full service flexible term office space on the 9th floor, starting at 90 square feet, for businesses in the D.C. area and a Washington, D.C. virtual address for businesses around the world. The Homer Building location also offers offices that can be rented by the hour for mobile business professionals and appointed meeting rooms with seats for 8 and 14 people respectively are available for booking by the hour, day, or week. Our Washington, DC. virtual office plans are ideal for businesses that require a professional address and occasional use of a day office or meeting room. Clients have the opportunity to share a prestigious office space, without having to pay the full-time cost. 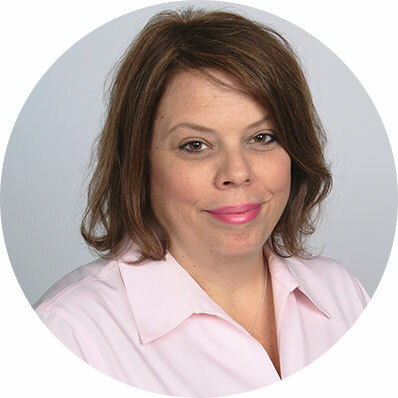 Premier’s virtual office plans include most of the same benefits provided by a full-time agreement, including a friendly and professional administrative staff.